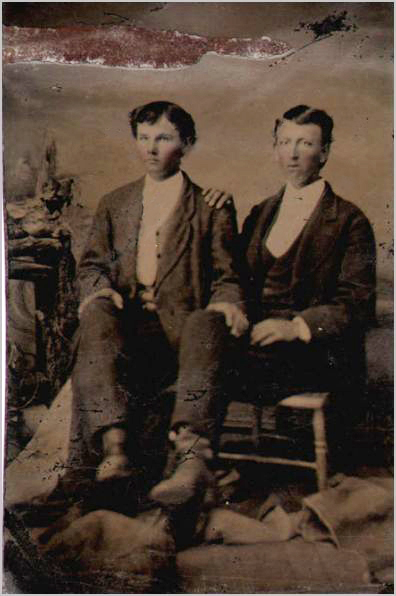 Here's my latest batch of Vintage Gay Couples! It takes me a hours and hours online to find vintage gay photos that I haven't seen before. Once I've collected a decent sized batch, I try to clean them up a bit before posting. I don't do any heavy restoration, I don't want them to look brand new. Mostly I just correct the contrast, remove damage from faces and try to minimize any distortion from bad photo scans. Here is an example of a before and after. Notice that I left the damaged background and just restored the faces. Lightening up the photo and adjusting the contrast made a huge difference too. I thought about restoring the photograph below, but I'm no Photoshop expert and it would take me hours to get rid of all the blemishes on this pic! If anyone wants to take a crack at it, be my guest!